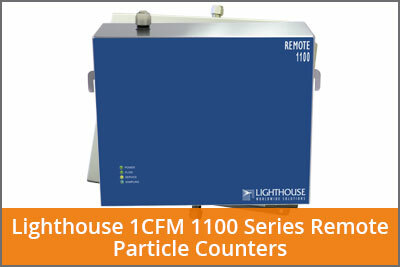 With the largest range of state-of-the-art remote airborne particle counters in the Southern Hemisphere, LAF Technologies offers an impressive portfolio of latest generation particle counting sensors for industry professionals. Our Lighthouse APEX R series have become industry standard in monitoring facilities all over Australasia and our pump based models have become equally popular for monitoring processes, clean rooms, hot cells, BSC’s, CYTO cabinets, isolators, filling machines and other controlled environments. 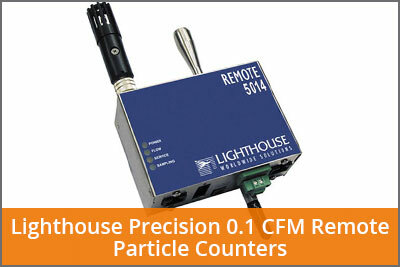 The ultimate remote particle monitoring sensors for monitoring professionals. 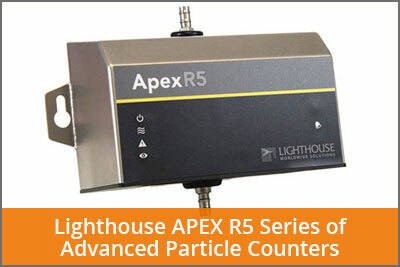 Our latest generation of APEX remote particle counters have become the biggest selling and most popular remote particle counters for cleanroom and facility monitoring throughout Australia and the world. These latest generation units are today used by leading pharmaceutical companies, research facilities, compounding pharmacies and countless other quality conscious organizations. The APEX series are available in 0.1 CFM and 1.0 CFM configurations and feature 20 year MTBF laser diodes, 7 diagnostic parameters, a 3,000 record data buffer, they utilize the latest “Smart Bracket Technology” and incorporate many other advanced features that far surpass other particle sensors on the market. 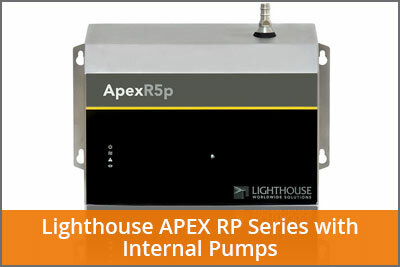 Based on the same state-of-the-art technology used in the above APEX R series and incorporating many of the same features, the Lighthouse RP series are precision remote particle particle sensors with built-in vacuum pumps.These new generation vacuum pumps are ultra long life and very quiet. A variety of popular APEX RP models are available with both 0.1 CFM and 1.0 CFM flow rates to meet a wide variety of industry applications. The APEX RP series also incorporate the latest ultra long life laser diode technology. Packed full of other popular features including many communication interface options, they integrate seamlessly into large facility monitoring and management systems and are ideal for system integrators and or companies wanting a fast and reliable, plug and play monitoring solution. 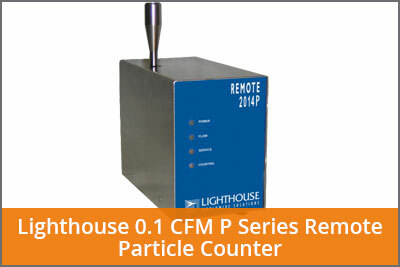 The Lighthouse P series of precision remote particle counters are extensively used in facilities throughout Australasia and the world. A variety of popular models are available with both 0.1 CFM and 1.0 CFM flow rates to meet a wide variety of industry applications. The P series also feature a built-in long life vacuum pump eliminating the need for costly external vacuum pumps or systems. They also incorporate the latest ultra long life laser diodes with an (unmatched in industry) 20 year MTBF (mean time before failure). Packed full of other popular features including many communication interface options, they integrate seamlessly into large facility monitoring and management systems and are ideal for system integrator’s and or companies wanting a fast and reliable, plug and play monitoring solution. 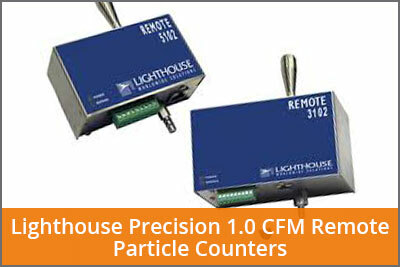 For many standard particle monitoring applications where customers already have or plan to install vacuum systems, Lighthouse offer a comprehensive range of precision plug and play particle sensors. A variety of popular models are available with both 0.1 CFM and 1.0 CFM flow rates to meet a wide variety of industry applications. These models incorporate the same ultra long life laser diode as the above models with an (unmatched in industry) 20 year MTBF (mean time before failure). Packed full of other popular features including many communication interface options, they integrate seamlessly into large facility monitoring and management systems and are ideal for system integrator’s and or companies wanting a fast and reliable, plug and play monitoring solution. 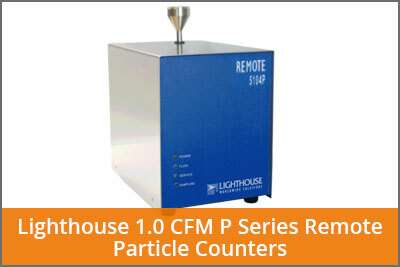 For more specialized applications, where measurements down to 0.1 um are desired, Lighthouse offer a number of state-of-the-art particle sensors to suit different needs. These models incorporate the same ultra long life laser diode as the above models with an (unmatched in industry) 20 year MTBF (mean time before failure). Packed full of other popular features including many communication interface options, they integrate seamlessly into large facility monitoring and management systems.